And the ants go marching on…. Well folks, since Feb 1st I have looked at the little “HKnits” icon in my bookmark bar and I just look right past it and say to myself, maybe tomorrow I will post something. That day is apparently today (mostly because I don’t feel like watching Judge Judy or switching/folding one more stitch of clean laundry). This last month and a half has been eventful to say the least. I have have some pretty great days, miserable days and days of not really being inspired to do ANY-THING (knitting included). Most recently, 5 nights ago I called 9-1-1 for my son, who is 4 incase you haven’t read my “about me” section, his asthma was SO bad that he could not breathe, even while doing a nebulizer treatment and his nose started bleeding. While I ran for the cell phone to call my father-in-law (apply named John), Johnny was screaming so bad from pain and fell on the floor. Between the massive shaking and a slight bit of panic I was going through, I made the call. A few hours later, after being released at 4am and being picked up from the hospital (25 minutes away) from my very best and dearest friend, Jen, it turned out to be walking pneumonia. There was no link at all from the “virus” aka pneumonia and the nose bleed (huh? with that amount of blood? 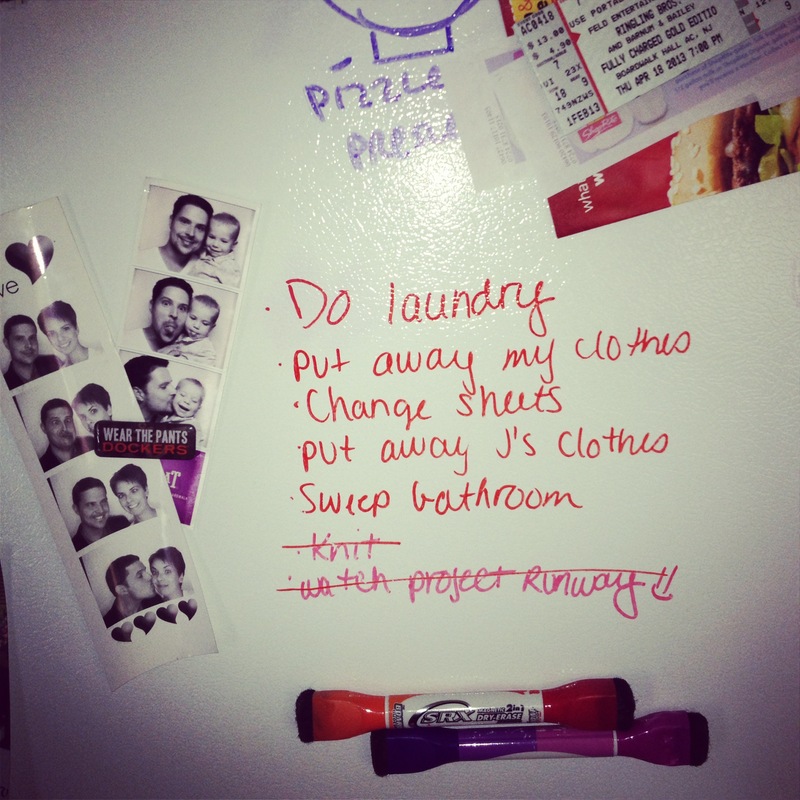 *note, I woke up the next morning and had to clean blood off of my clothes and the bathroom floor*). Well, Tommy is home now, and while everthing was pretty scary for awhile, I am glad to go back to normal life. I WILL say, after having a police officer and the 5 paramedics in my messy, clothes-strewed-everywhere bedroom (that is where J was sleeping and doing his nebulizer treatment), that I promptly cleaned up and put all of the clothes away…never wanting people to see my room like that again. And so started the major clothes cleaning and folding and ironing that has consumed my life since that day. Now for my knitting projects… The last you read from me was about the grey and navy blue baby sweater I made for girlfriend for her baby shower. 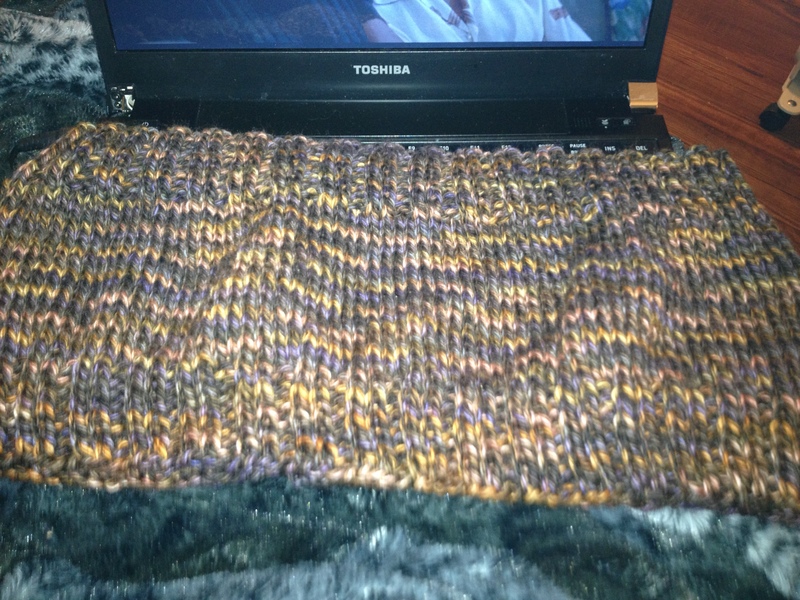 Then came the lap blanket I made for Drew, which I mailed to him as a surprise (see picture below). Then I made my hat and matching cowl with the wool I purchased from the goat farm in Tennessee Oh, I didn’t tell you about that? That will be another post for another day =) The cowl I made just had basic ribbing edges and stockinette middle. With no pattern, I winged it. 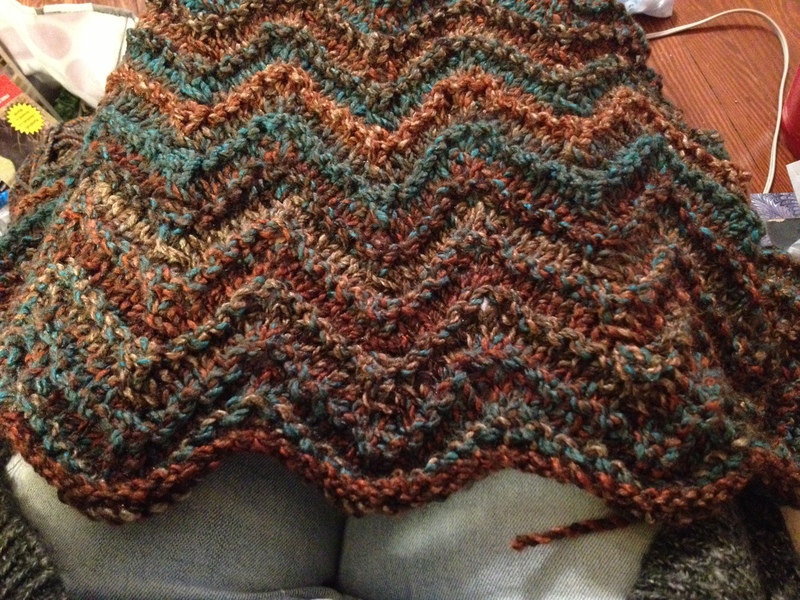 The cowl turned out bigger than the cowl I was envisioning and was too short to be an infinity scarf. The wool stretches pretty easily and sits tightly wrapped around my neck if doubled up, which was pretty nice on a cold day or two when I wore it out. I really only made the set to match the brown (dark tan) boots and leather coat I got for Christmas. I didn’t have a collection of brown colored anything. I am a black color wearing kinda gal. 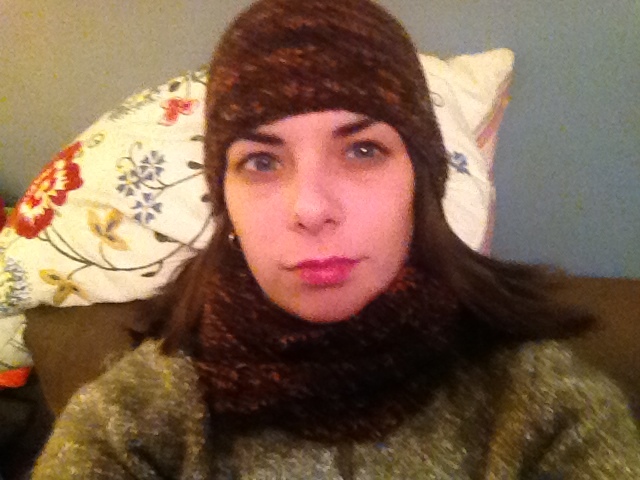 Anyway, that hat and cowl do the trick (see picture of cowl below). Then I knitted my FIRST pair of socks slippers. I followed a pattern with a matching YouTube video from verypink which my mother-in-law bought and send me the PDF and the links for the YouTube videos. These are not your normal everyday socks. These are knitted with a worsted weight yarn and size 5 DPN’s. I chose to use some royal blue Red Heart cheapo yarn that I had and used size 6 DPN’s with a size 7 cast on (my cast on is usually pretty tight and so I wanted to make sure it was stretchy enough to go over my foot). Well, bingo, the sock was able to go over my foot in fact it was too wide and gappy at the top and pretty loose. The whole sock was too wide and too big. They did do their job of keeping my feet super warm and they seemed to have washed up pretty well (I’m hoping they shrunk in the drying process-fingers crossed). See picture below. ****side note, a HUGE thanks to my BF Jen, who had the brilliant idea of learning how to do socks and do them TOGETHER. We learned together and helped each other at the same time. Thanks girl! 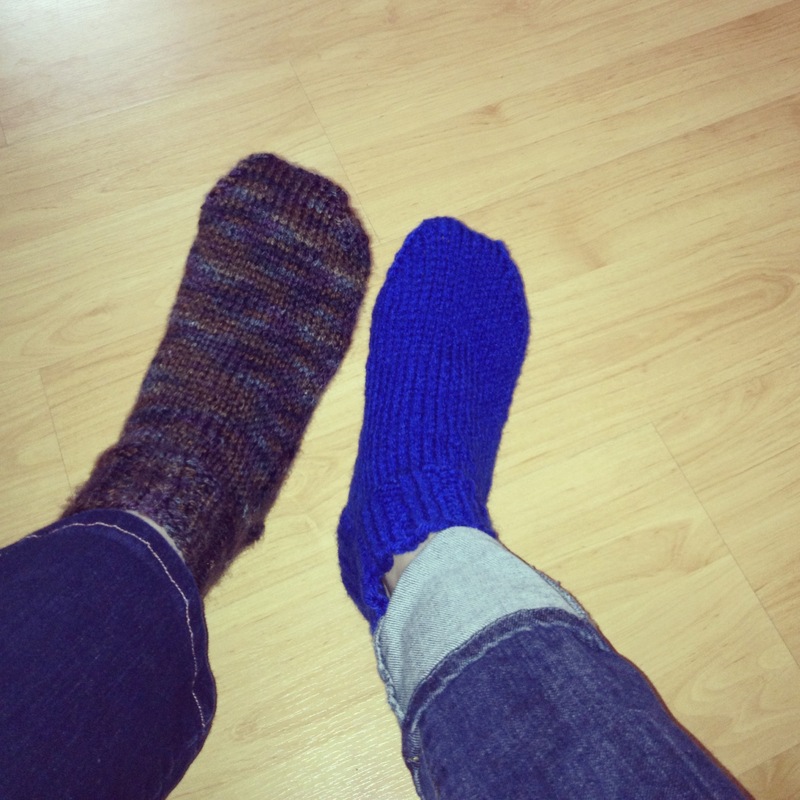 Her finished sock is the one on the left, the brown multi Caron yarn. Lastly, I knitted a pink baby sweater-for no one in particular (see picture to how it looked when I was starting it up…don’t have a pic yet of the finished garment . I had finished the socks and wanted to start on something else right away with yarn in my stash. I purchased a big bag of mill ends three years ago when I first learned how to knit…everything was so exciting, just the thought of knitting a new project (that I would never do anyway) and new yarn. 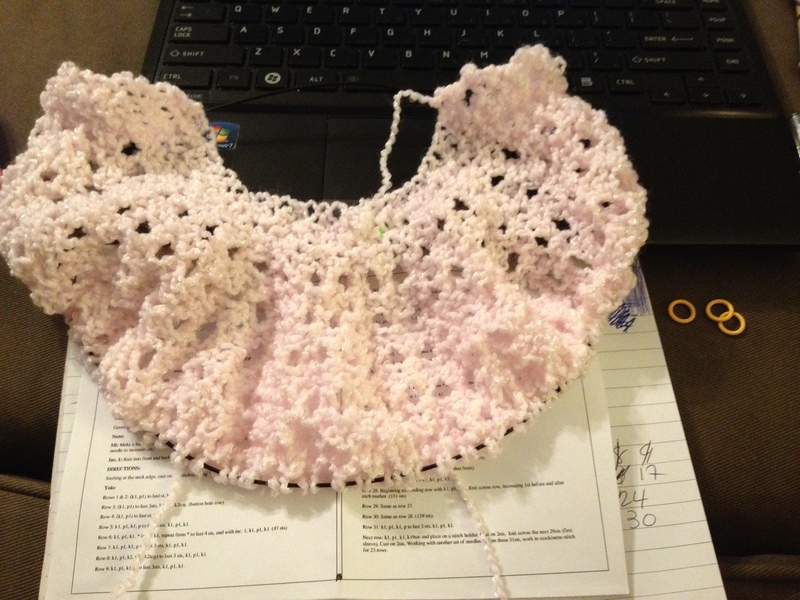 WOO-HOO =) Here is the pattern I followed…pretty sweet and easy and used the same pink Baby Coordinates yarn. Oddly enough, the right sleeve came out about an inch longer than the left, LOL. oh well, if you pull on it enough it matches the other for awhile. Gift away, matey. Well, I think that is all you can read for one day…if I even kept your attention until now. Thanks for reading. Check back for yet another post, which will be soon! !